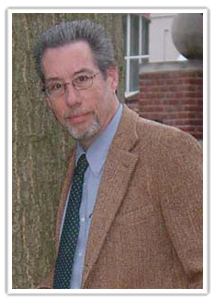 Henry Reiff, PhD was named dean of graduate and professional studies of McDaniel College in Westminster, MD, in 2008. He originally joined the school's faculty in 1989 as professor of education, with a specialization in special education. He began his administrative work as the coordinator of the graduate program in special education. He was appointed assistant dean of academic affairs in 1994, became associate dean of academic affairs, and then dean of student academic life. Most recently, as an advocate for students with disabilities, Reiff has played a leadership role in establishing service learning programs and opportunities at McDaniel College and throughout Maryland. He earned his AM in English literature from Princeton University and an MEd and PhD in special education from the University of New Orleans. He has shared his expertise on learning disabilities in over 100 presentations around the country, and in the four books and more than 40 articles he has authored or co-authored. 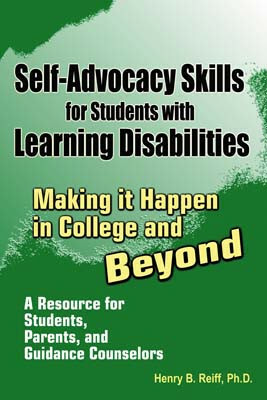 His book, Self-Advocacy Skills for Students with Learning Disabilities, a publication of National Professional Resources, Inc./Dude Publishing, is a comprehensive guide to helping students with learning differences gain admission into competitive colleges and achieve academic success toward professional and lifelong goals. In 2000, he was the Maryland nominee for LDA Educator of the Year. Outside the classroom, Reiff is an accomplished musician, a New Orleans-style bassist. His educational and musical roots, grounded in New Orleans soil, drew him back to Louisiana in 2006, where he spent fall break aiding the recovery effort following Hurricane Katrina. He serves on several community boards including Interfaith Housing, the United Way of Central Maryland, and launched a mentoring program at the local Boys and Girls Club of Westminster where he is a member of the advisory board.